The Air Force District of Washington (AFDW) is a Direct Reporting Unit of the United States Air Force. The District handles operations in the Washington, D.C. region (also known as the "National Capital Region" or "NCR"). Various support organizations in the vicinity of Washington, D.C., performed a variety of functions that the Bolling Field Command absorbed on 15 December 1946. It was redesignated Headquarters Command, USAF, on 17 March 1958. When Headquarters Command, USAF, inactivated on 1 July 1976, many of its functions passed to Military Airlift Command. 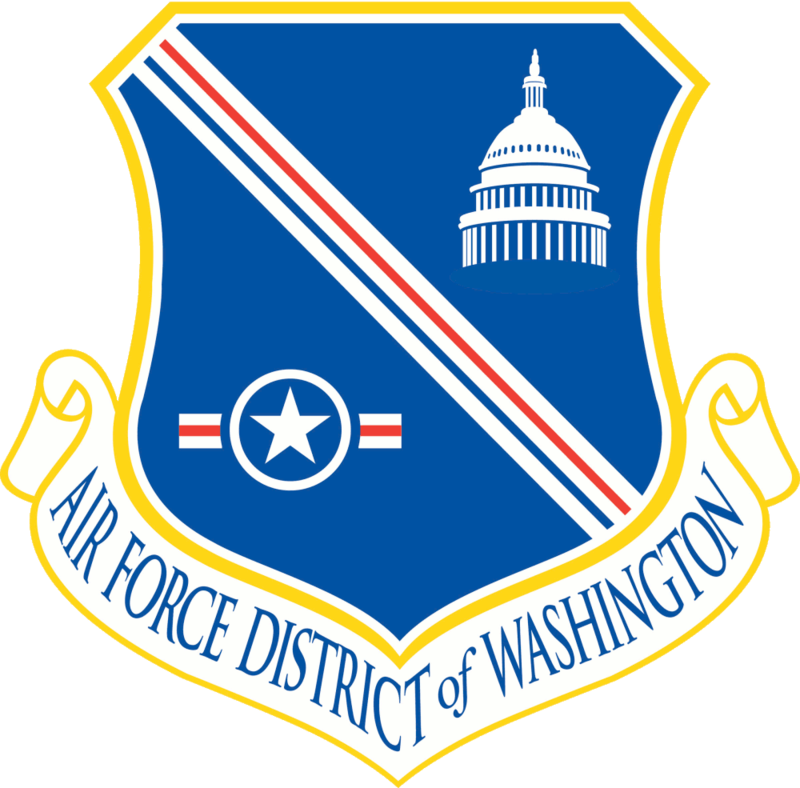 The Air Force District of Washington was constituted and activated, on 1 October 1985. Inactivated on 15 Jul 1994. It was reactivated on 7 July 2005.
and, designate a single voice for Air Force cross-service issues in the National Capital Region. AFDW is composed of two wings and one group, the 11th Wing, the 79th Medical Wing and the 844th Communication Group at Joint Base Andrews Naval Air Facility. The 79th Medical Wing and 844th Communications Group both have specialized missions where they will be the single Air Force voice in the National Capital Region (NCR) for their respective fields of expertise. The 11th Wing fulfills duties as the host base organization of Joint Base Andrews Naval Air Facility, while also supporting AFDW requirements. AFDW serves as the Air Force service component for coordination purposes to JFHQ-NCR and the supporting command to Joint Task Force National Capital Region/Medical (JTF-CapMed). JFHQ-NCR has an emergency or major event operation 'mobilization' function as Joint Task Force-National Capital Region. When the JFHQ-NCR transitions to the Joint Task Force NCR (JTF-NCR), the 320th Air Expeditionary Wing (320 AEW) activates and becomes the Air Force service component of JTF-NCR. Normally, the Commander of AFDW serves as the Commander, 320 AEW. Air Force Mission Directive 13 delineates missions and assigned duties applicable to AFDW in both its worldwide Air Force service role and its JTF-NCR Air Force service component role. Joint Base Anacostia-Bolling, District of Columbia - Support operations and USAF Honor Guard and USAF Band.